FEW people will disagree that South Africa is better off with the potential presidency of Cyril Ramaphosa in 2019 – if the ANC manages to retain power – than it would have been had his political nemesis, Dr Nkosazana Dlamini-Zuma, won the ANC presidency back in December 2017. 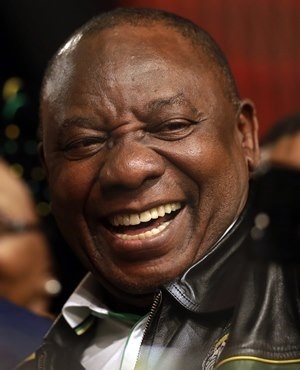 Even fewer will disagree that there are already positive developments taking place since Ramaphosa became ANC president; developments that could lead to the much-needed recovery from a decade-long joy ride led, officially, by one Jacob Zuma from Nkandla and, unofficially, by a notorious immigrant family from a little-known town called Saharanpur, in India’s northern state of Uttar Pradesh. The emotional, material, and reputational damage done to South Africa has been written about on a vast array of platforms, among them Public Protector Thuli Madonsela’s reports – notably ‘Secure in Comfort’ on Nkandla and ‘The State of Capture’ on the president’s suspected criminal links to the Gupta family and other suspicious characters. It has also been written about and discussed on mainstream and social media platforms, as well as in several books published in the past year. But the total impact and opportunity costs of the Zupta-led state capture still need to be consolidated in a volume that must serve as an authoritative reference guide for students in politics, law, sociology and other disciplines. I was reminded again of the impact we least talk about during a recent ‘catch-up’ over a drink with a friend I have known for more than ten years. Our sons went to the same primary school. 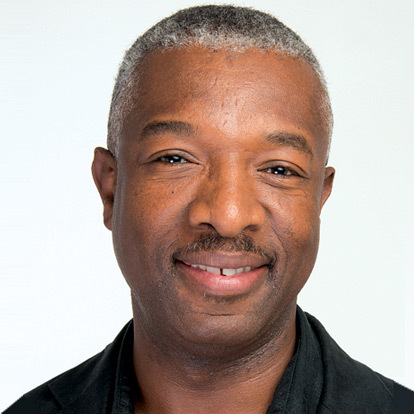 He is South African; he is white; he’s an accomplished expert in his specialised field and has worked for various government departments in South Africa, first as an employee and, more recently, through his successful consultancy. Let’s call him Eric. Eric and I have been meaning to get together for more than three months, but other things kept coming in the way. Little wonder that he went straight to the point as soon as we sat down for our drink this past weekend. Now, it wasn’t the first time that I heard what he said to me. I’ve heard it several times from other white South Africans, young and old, in recent years, including some white students I taught at UCT in 2017. Some whites call in to radio talk shows to express the same concerns, others share their fears on social media and in private gatherings. The usual response from many of us, mostly black but also some white South Africans, is to dismiss their concerns in the style of “go on and jump off the bridge; we’ll be fine without you”. Eric told me he is worried about his three children. Increasingly, they feel they are undesirables in the country of their birth, as they often get told that they do not belong here, or that they’ve had their chance to eat and must now stand aside and let blacks do the eating. They’re made to feel less of this country than black South Africans. I have personally experienced shocking racist exchanges of the same kind between black and white students in their early twenties in a class I taught, which made me realise that our national harmony stands to be threatened if no one shows balanced leadership. Eric too, a highly successful expert in his field – he now consults a lot more outside South Africa – has been told many times to keep quiet in meetings with public sector clients, as whites have had their chance to talk and to eat. He must just listen and execute. He has also been promised contracts or mandate extensions on condition that he “takes care” of certain people, often linked to the state official issuing the contract. He also told me that he has, on numerous occasions, politely declined contracts that came with such conditions attached to them for fear of negative reputational ramifications. Because of their fear of having the word ‘apartheid’ thrown in their faces even when the context doesn’t call for it, or of being racially profiled and assumed to come from families that supported apartheid, some white South Africans lash out with unhelpful racist insults when confronted like this. But many simply recoil, step aside, and withdraw or refrain from participating in activities that might seem political. It is as if a part of them understands the origin of the ‘black anger’ but they do not know how to handle it for fear of being reminded of their privileges, real or imagined, and lambasted with slogans replete with accusations that reference “historic theft”. The Zupta-led Bell Pottinger campaign did a sterling job in reinforcing this fear. By the time it was stopped, much damage had been done and there was no national leader to put a boot on its head. Instead, it seemed to perfectly fit in with Zuma’s divisive agenda. Bell Pottinger might be gone but the emotional scars remain, as well as the rhetoric. There are also among us many who still engage in public discourse as if resorting to racist sloganeering is the only way South Africa can deal with its legacy issues. If he keeps saying the right things without ambiguity, takes the reins from Zuma and appoints credible people to head relevant state institutions, especially SARS, and lets the professionals deliver on the constitutional mandates of such institutions without political interference, confidence levels will recover and the sun will begin shining on South Africa again. Ramaphosa cannot do all the work on his own. He must put aside his ANC coloured gear from time to time, figuratively speaking, and speak to all South Africans. Now that the governing party has remained united, more or less, he must turn to all South Africans – even with a particular glance towards people like Eric and his children – and tell them that they all belong and that this country cannot be great again without their contribution, in all its forms. He must do this being mindful, among others, that institutions like SARS – crucial for the collection of much-needed tax revenue to enable government to deliver on its programmes – are unlikely to regain their credibility while being led by hugely discredited individuals. Increasing numbers of South Africans with mobility will continue to shift their money to offshore havens instead of paying taxes to an institution run by people they cannot trust. To fully recover, South Africa needs all her people to contribute. For this to happen, they need to be rallied around a shared dream by a mature, balanced, leader armed with a vision that places country ahead of party interests. Otherwise, the climb back will be very steep.